This has the same tree as our regular Wade except for a 4" horn and a shorter front. 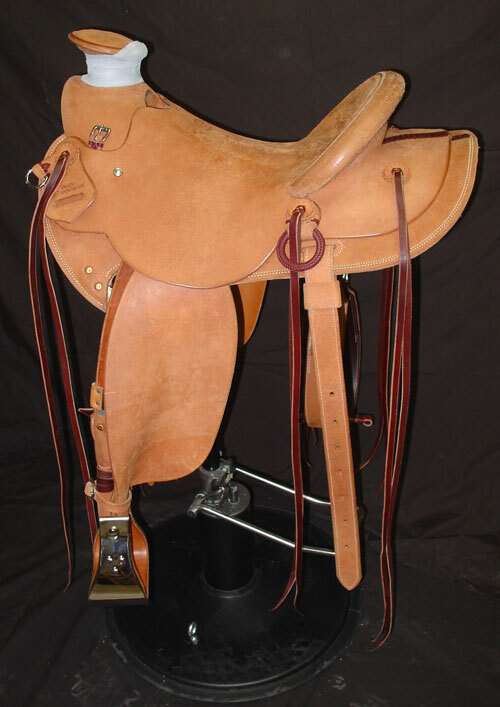 We have used lighter weight leather in the construction of the saddle, 2 1/2 stirrup leathers, narrower fenders, smaller jockeys, shorter skirts, and a narrower cheyenne rolle. It comes with stainless steel or brass flatplate rigging. Available in 13" - 16 1/2" seat sizes, and the stirrup length according to your inseam measurement. These saddles weight approximately 35-37 pounds.